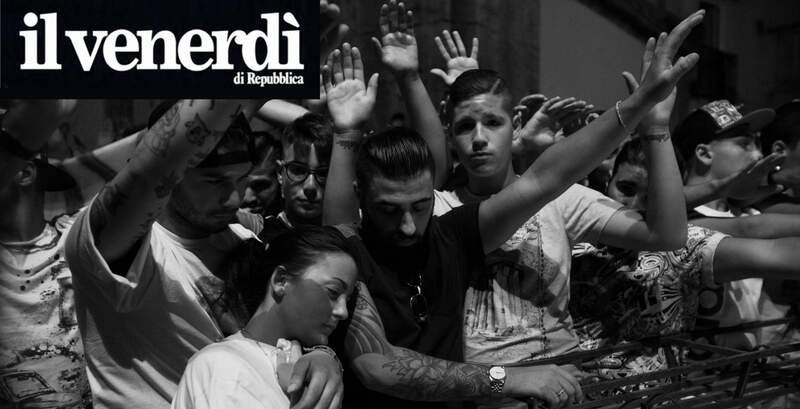 Goodfellas on il Venerdi of Repubblica. 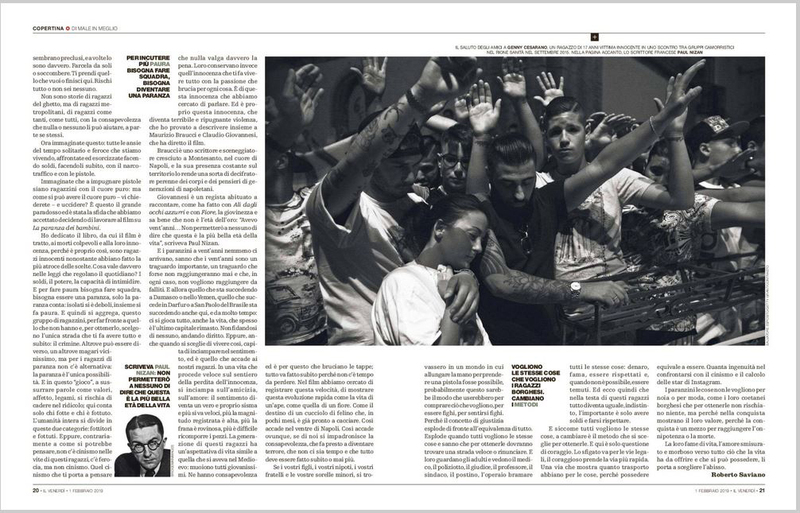 On il Venerdì di Repubblica a picture of Salvatore Esposito‘s long-term project on organized crime supported by the Getty Grant. 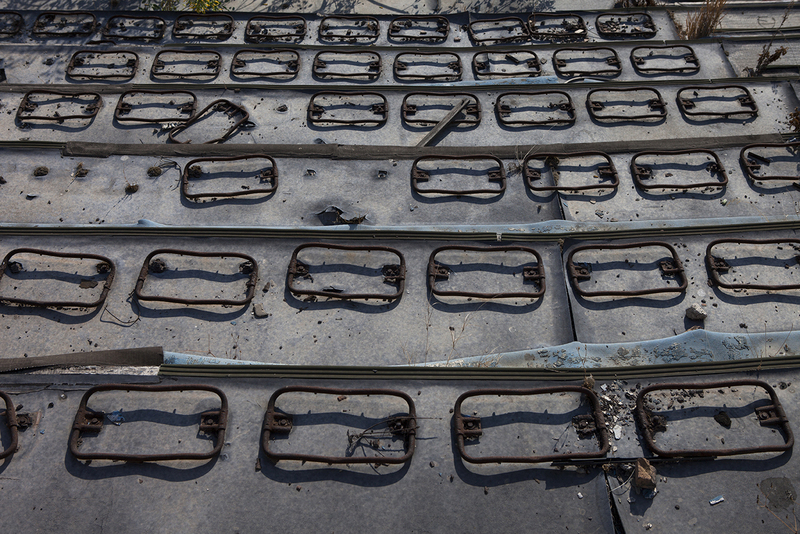 The Child labor – in Italy is banned since 1967 – is a wound never definitively healed. 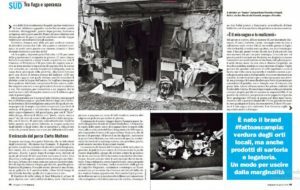 “Arianna Giunti writes in an important piece, which tells, together with my photos, a hidden world where only minors are to pay. 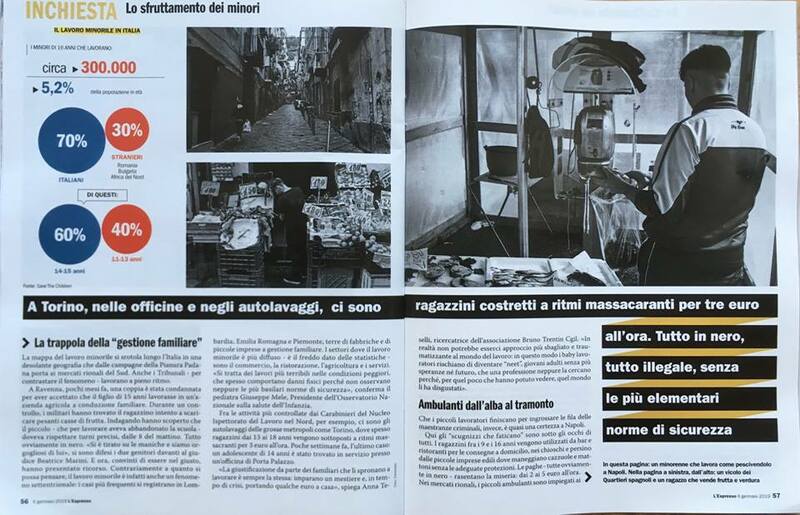 On the Chinese Two-monthly Vision an interview of mine to testify of what I have experienced in all the years I have photographed in Scampia. What I feel and what I feel towards this neighborhood to which I gave but I have also received so much, but above all I talk about the humanity of this place that politics wants to remain hopeless and how I see the future for these people I’ve had honor to meet. 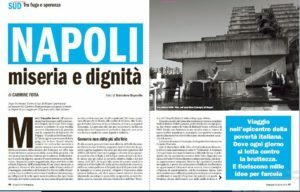 Napoli, Misery and Dignity on L’Espresso Magazine. 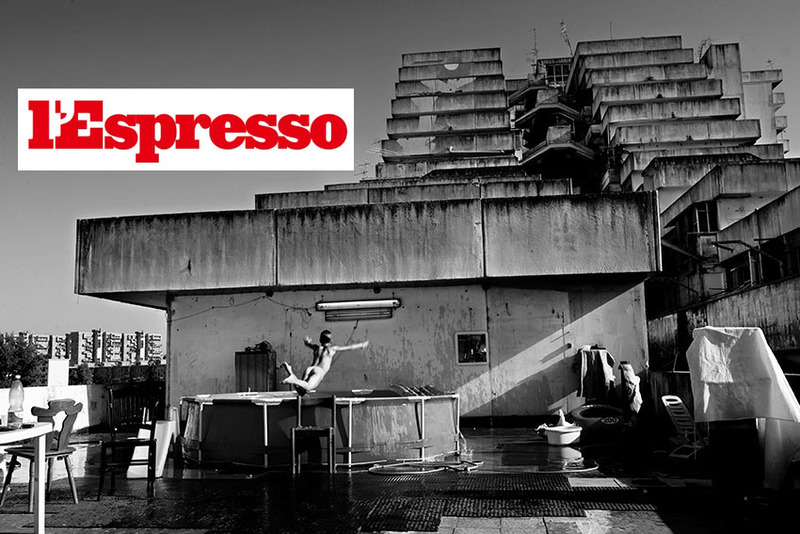 Journey into the epicenter of Italian poverty. Where every day you fight against ugliness. And a thousand ideas flourish to make it happen. 20.000 guys live in a community on Donna Moderna. 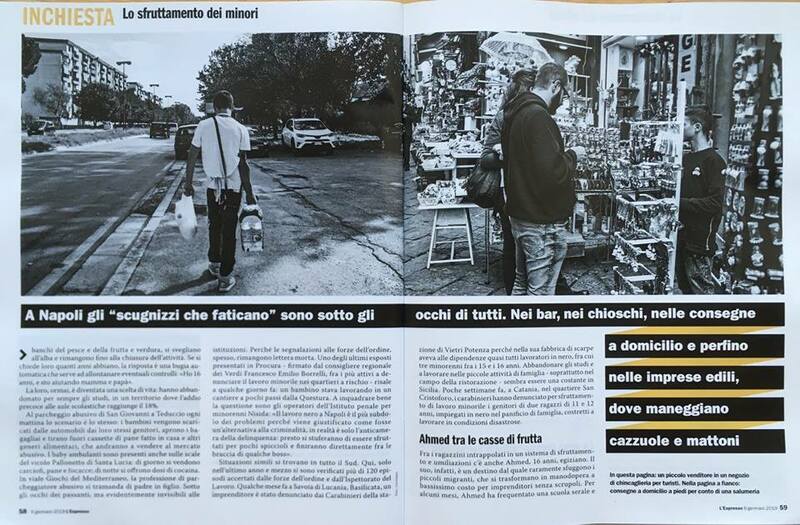 REVIEW OF Sguardi / Sbarchi IN COLLABORATION WITH THE FACULTY OF ARCHITECTURE. 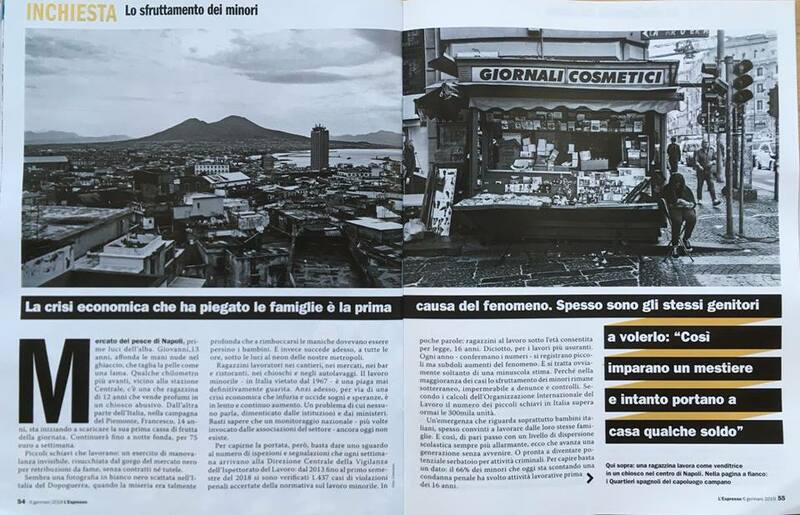 The photographer Salvatore Esposito in the publication edited by Paola Galante and Maria Lucia di Costanzo, professors of the Faculty of Architecture of Naples, deals with the theme of the western suburbs of Naples. Baby Gang, there is an antidote. 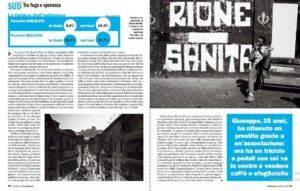 On Gioia Magazine. 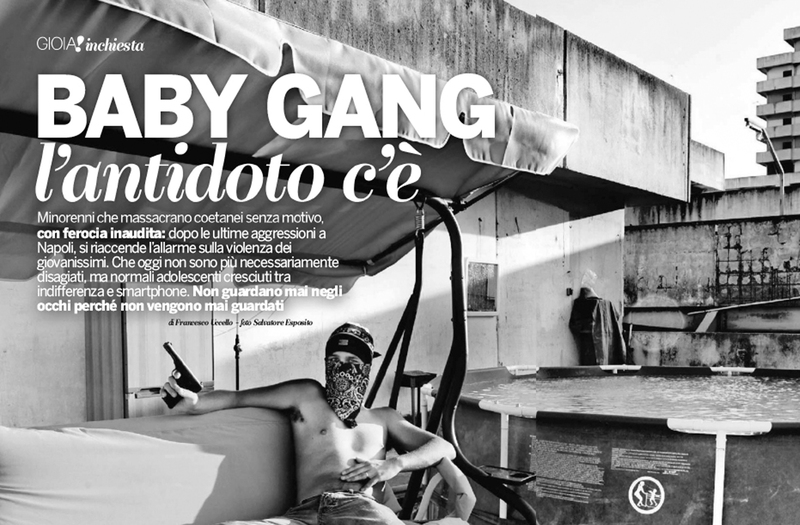 The photos of the photographer Salvatore Esposito on the Baby Gang phenomenon are published on Gioia Magazine. 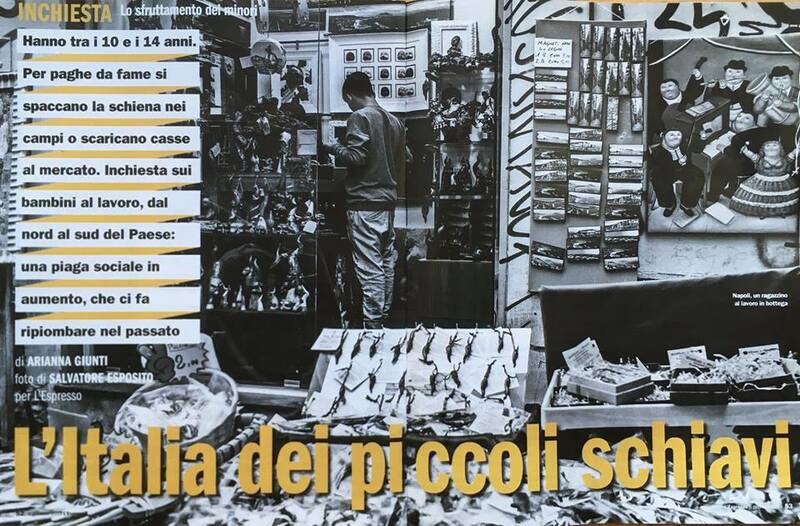 The Cover of the german edition of the book “Der Klan Der Kinder” of Roberto Saviano is a picture of Salvatore Esposito. 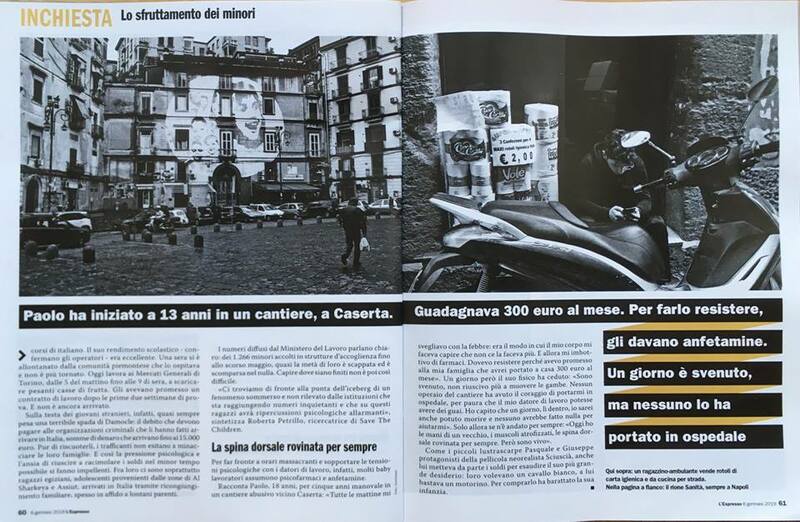 The Cover of the German edition of the new novel by Roberto Saviano “Der Klan Der Kinder” (La Paranza dei Bambini) is a picture of a project of the photographer Salvatore Esposito shooted in Jonathan onlus a community for young guys at risk. 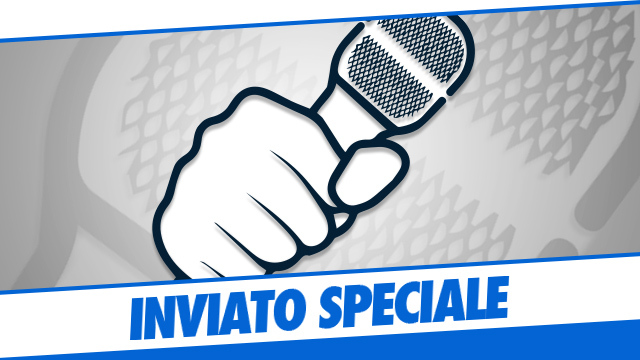 An interview of mine for Inviato Speciale Radio Rai 1. 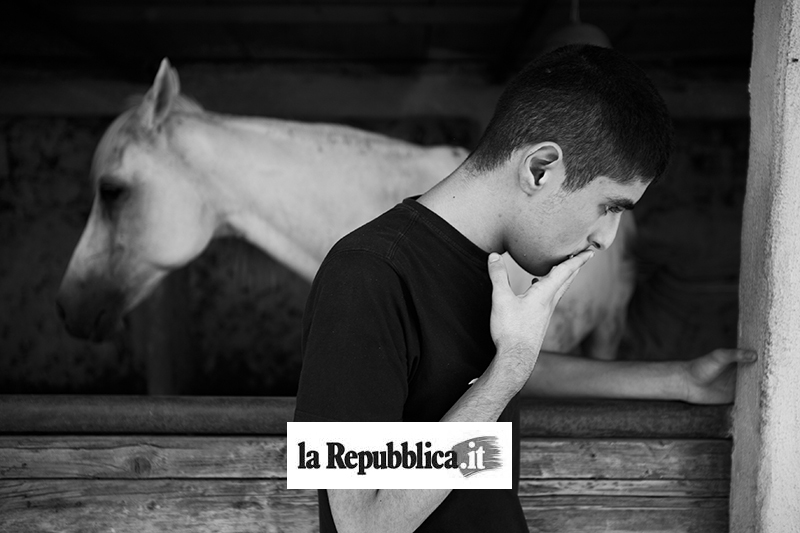 Today on Inviato Speciale Radio Rai 1a beautiful reportage by Rita Pedditzi on the course of Photography for young guys at risk, Picture of Life supported by Manfrotto who sees as a teacher the Photographer Salvatore Esposito at Jonathan Onlus. You can listen to the experiences of the school, the pleasure of teaching these children, the difficulties and the contradictions of the bureaucracy. This year he won a boy from the Gambia who arrived by sea with a boat that photographed the sea to exorcise what had become a fear for him but instead is one of the beautiful things on Earth. Radio always has its charm. You can find us from minute 28.45 per minute 41.05. La Forza del Silenzio on Inviato Speciale of Radio RAI. la Forza del Silenzio on Radio Base. La Forza del Silenzio to the Ubik library in Naples. La Forza del Silenzio on Radio CRC.